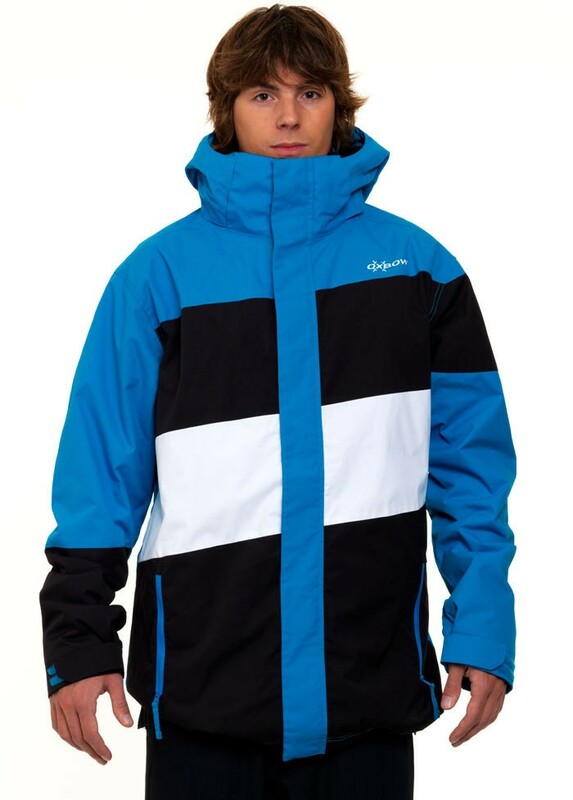 This super-equipped snowboard jacket is not only optically a real highlight, but also convinces with its various technical characteristics. The color combination of blue, white and black is a great design that makes this jacket so interesting. The whole strip form and the Oxbow logo on the exterior provide additional good looks! Zuden the jacket has lots of little pockets that are ideal for storage. Almost all parts of this jacket are adjustable, so it adapts perfectly to your body!